All you need is sleep! The message shown by this bedroom sticker really is true - Did you know that human cognitive function drops by over 60% when you get less than 7 hours sleep in a night? 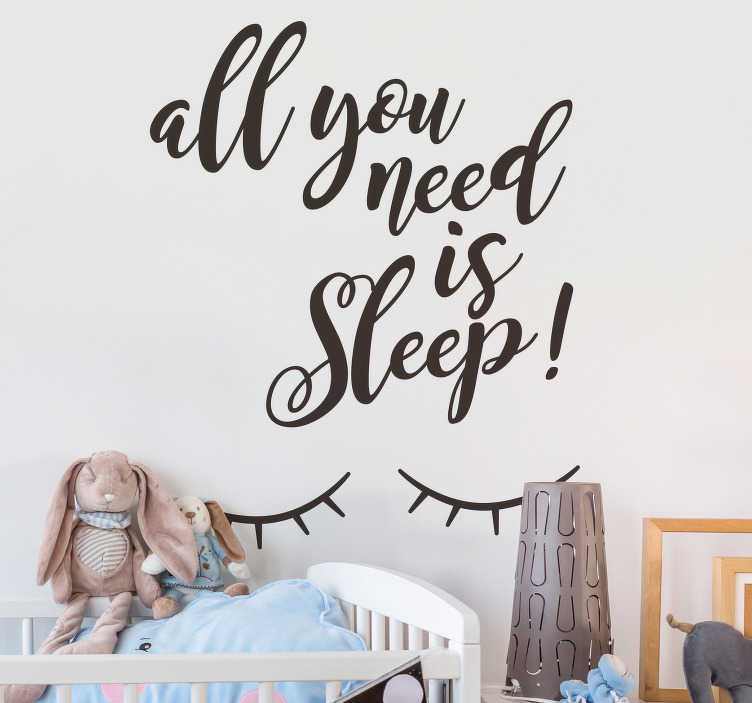 That is not good and we must encourage as much sleep as possible - That is why we created this fantastic wall art sticker! Ideal for a child´s bedroom, but it could also look great in that of an adult children!